Terms and Conditions when you rent a skyhome, Skybox, multiple scenery, multi scene, home or Dome. 1) We require a respectful and decent behavior at all times in the public areas on our Region, such as the Office, Beach club and our private rented parcels on the ground. Trespassers will be banned and muted permanently, and their rental terminated without any refund. 2) You are responsible for the behavior of any guests that you invite to. Please also turn off your own objects when you leave your rental. 3) Be considerate of your neighbors when using scripts or scripted objects. We reserve the right to insist on any excessive scripts or scripted objects being removed. All to our discretion. 4) CUSTOM WORK IN THE SKY BOX'S LIKE REMOVAL OF FURNITURE WILL ONLY BE OFFERED FOR RENTALS OF 4 WEEKS OR MORE. 5) If you go over your prim limit you are given 6 hours to remove the extra prims. We will reserve the right to return all your items. This will be to our discretion. In case of an inventory loss we cannot be held responsible. 6) RENTAL PAYMENTS ARE NON REFUNDABLE. You are responsible to calculate what amount of time you like to use our rentals. Do not expect a refund. In case you like to switch a rental or move to a rental parcel, we will add the value of your remaining time to the new rental. 7) A group tag is necessary to operate the Sky Box's security. 8) Temp Rezzers or Zero Prim Rezzers are not allowed. 9) General usage: we run a private, residential Region. This is no sandbox and we will not allow commercial activities or a club on our Region. If you have doubts if your usage of the rental conflicts with this, please contact the owners of Titchy's before renting. 10) General codes of conduct and disclaimers you can find at the bottom of this Covenant. By accepting this covenant you comply to them. We will not be held responsible when you accept this Covenant without actual reading it! Terms and Conditions when you rent a bare parcel OR a beach home. Here under designated as " Parcel"
The only entity not permitted are clubs, as these cause lag through high traffic and their visitors can harass other residents. A small dance place on your own premises is of course no problem. We operate under the rules of common sense and courtesy to your neighbors. Therefore whilst there are not much strict rules, please respect island residents to minimize lag, no eyesores, floating signs etc. Griefing, Harassment and anti social behavior will not be tolerated. Please check if the parcel is suitable for your purpose before renting! We reserve the right to evict when you use the land for purposes that do not meet our standard of " Residential" all our own discretion. Your parcels needs to be open to public access. Setting it to limited access will give the red no entry lines and they are not permitted throughout the estates. On detection of them you are being asked to lower the forcefields. If you do not comply to this rule or fail to put your land back in public access when requested to, we will take the land back open it up to public and sell the land back to you. You are allowed to use your own security system / orb, there are many cheap ones available on Marketplace. Make sure you know how to operate them! If you have trouble with an individual ban them from your property first, and inform an owner who will have them banned from the Estates for good. Buildings should not be more than 30 meters high (ish) and must blend in with the atmosphere of the island. In case of complaining neighbors an owner of Titchy's will try to intermediate and in cases of eye sores you might be asked to remove certain objects. No objects can be placed within 1 meter of a neighboring border, unless you have your neighbor's consent. Building in the sky is allowed above 600 meters. Also if you are a builder, please build in the sky! Fences / walls / screens: Big primmed screens are always a subject for great discussion and indifferences. Some hate them, some like them. As of now (1st of July 2017) we disallow them on our Region. But please read on. There can be made exceptions, but only on the discretion of the Estate manager. Of course bordering your parcels or a genuine use of small fences is no problem at all if it is not an eye sore. Small borders, and a fence around your house is of course no problem!!! Mega prims or big prims: If you need to cover your builds for scenery or other scenic purposes, we would strongly advise the outside of the big prims / megaprims to be transparent, If the reason for the big prims is to make your parcel nice private and secluded. But making it transparant on the outside will allow your neighbour still a nice view. Also if you have a pretty big square build, try to bring in decorations so that it will blend in with the surroundings. There are private settings available in the about land tab that allows you to make you invisible to your neighbors. Please make use of those options. We will intermediate in "complaints", you will submit herewith with accepting the covenant, that you take away objects and eyesores when asked to by the owners of Titchy's Dreams. All at our own discretion. The land should stay in the name of the Tenant. Subletting or reselling is not allowed. Parcels are for private use and residential zoned. We do not allow commercial activities, nor will we allow your land to be used to build clubs or have excessive parties on it. Rezzing objects that make use of temporal rezzing scripts is forbidden. It uses Region recourses, causing major lag for your fellow Tenants and residents using the regions. Under no circumstances they are to be used. On detection of temporal scripts and temporal object rezzed by them, the objects will be returned to you without any prior notice. We ask of you a fair usage of the scripting resources. Many scripts will cause the region to lag and that will not contribute to a nice Second Life experience. We work with a "fair use" policy. If the region starts to lag, the Estate manager will conduct a survey and any Tenant might be asked to take in some scripted items. This is never subjective, there are estate managing tools that allow us to exactly see which person is taking up what resources. The usage of scripted objects from all your users of the parcels, for example your parter, friends and your alternative AV will all be added up to your usage. We have a "fair use" policy on pets. If we get complaints from fellow sim users and your pet causes lag, we will investigate and we may ask you to cut back on them, or we find another suitable solution. so in other words, yes you can pet(s) and other creatures, but we reserve the right to contact you and take active measures to keep lag on our regions down. All rent is paid up front, minimum one week. When you first start renting a parcel, you will buy the parcel and pay a week's worth of rent. This will be added to your rental time in our rental system. This will be done whenever an owner is online and will have a check in with you when you first start renting. All transactions are final and no restitution / refund will be granted when you decide to leave your parcel before the rental time has ended. We will of course move any remaining time to another rental object if you decided to change rentals within the Region(s) of Titchy's Dreams. General codes of conduct and disclaimers you can find at the bottom of this Covenant. By accepting this covenant you comply to them. We will not be held responsible when you accept this Covenant without actual reading it! - When we find out that you visit other skyboxes or roam our private parcels, you will be banned. 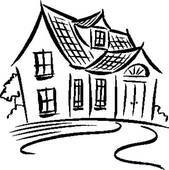 - When you visit a vacant rental, you can do so to inspect it before renting. You will have 10 minutes. If you continue to use the rental after that period of time it will be considered squatting and you will be banned. - In cases of complaints from neighbors, the owners will decide in any conflict at their own discretion. - No excessive script usage. You will be forced to lower script weights on detection. We reserve the right to evict you without any refund when you are found guilty of breaching above code of conduct. Second Life TOS and Community Standards apply. It can take up to 24 hours to respond to your messages (worst case) This is a private small business ran by two people having this as a hobby. Our goal is to be part of a community and therefore this is not a profit driven business. Please be understanding of this towards the owners, who are also your staff.